Renée was born on 25 October 1510 to King Louis XII of France and his consort Anne of Brittany. Louis and Anne had only married when Louis became King of France; he had his marriage to his wife Joan annulled by Pope Alexander VI, in order to seek the advantageous match with Anne. In marrying his cousin Charles VIII’s widow, Louis was reaffirming the relationship and marital union between France and Brittany which was an important building block in creating modern-day France. Louis XII wished for a male heir to continue his dynasty, but despite Anne having fourteen pregnancies, this was not to be, and the couple was blessed with two daughters Claude and Renée, who were born eleven years apart. The girls were orphaned by 1515 when Renée was just five years old, and despite Louis XII’s wish for a boy, it was Claude who continued the dynasty. She inherited her mother’s title of Duchess of Brittany and also married the next King of France, her father’s cousin Francis I. Despite being Duchess of Brittany and Queen of France, Claude was never very interested in politics or in her ancestral lands in Brittany, Renée was always the political sister. After being orphaned, Renée was brought up by Marguerite of Angoulême, sister of Francis I. Marguerite was a true renaissance Princess, she was a writer, involved in government and was known for her religious tolerance. In childhood, Renée was persuaded to give up any claim she had on Brittany, and instead, she was given the title of Duchess of Chartres. Around this time in her life, Renée made friends with a young Anne Boleyn who worked in her sister Claude’s household. 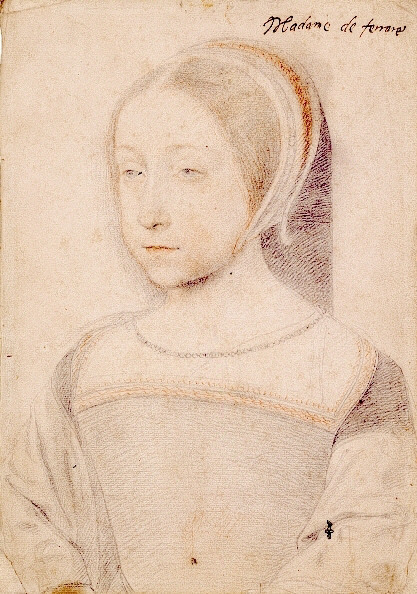 Renée often recalled Anne Boleyn’s kind nature at court. In April 1528, Renée was married to Ercole II, Duke of Ferrara. Ercole was the son of Lucrezia Borgia and Alfonso I d’Este and therefore grandson of Pope Alexander VI. The marriage was a political ploy to strengthen relations with Ferrara, in modern day Italy. Francis I provided a large dowry and yearly support for Renée, who used her wealth to assemble a splendid court in Ferrara, she was at her happiest when surrounded by artists, writers and scientists. Renée was known as Renatia di Francia by the Ferrarese. Renée and Ercole had five children together, who were loved by their mother and educated to the highest of standards, but despite this, the couple’s relationship broke down over time. When Ercole took over the duchy in 1534, he began to turn against the French courtiers who surrounded his wife. Within a number of years, all of them had been dismissed. Ercole was also persuaded by Pope Julius III to exile anybody from his court who was connected to the Protestant faith and therefore suspected of heresy. Unluckily for Renée, it was during this time period that her friendship with John Calvin, the leader of the Calvinist faith, was blossoming. He visited her court for a whole summer in 1536 and worked on his seminal work ‘Institutes of the Christian religion’ with input from Renée herself. Renée was officially converted to Protestantism after Calvin’s visit, although she was sympathetic to the plight of the Huguenots and interested in religious reform much earlier on in life. The Inquisition eventually caught up with Renée once her Protestant practices became apparent. After publically partaking in the Eucharist in the Protestant manner, it was clear than Renée was fully involved in the new faith and was not just tolerant of it. In 1554, Ercole removed his children from their mother and had her imprisoned. Renée was brought before the Inquisition under Pope Julius III, and she managed to withstand the pressure put on her by the Inquisition, but was charged with heresy and kept as a prisoner by her husband. Within a week she had recanted, denying her Protestant views in order to save herself. Her friends and Protestant allies were upset by her recantation, upon hearing the news, John Calvin said “What more shall I say than instances of fortitude in nobles are rare”, while saddened by the news, Calvin and others were not surprised. Things changed for Renée in October 1559, when her husband Ercole passed away. 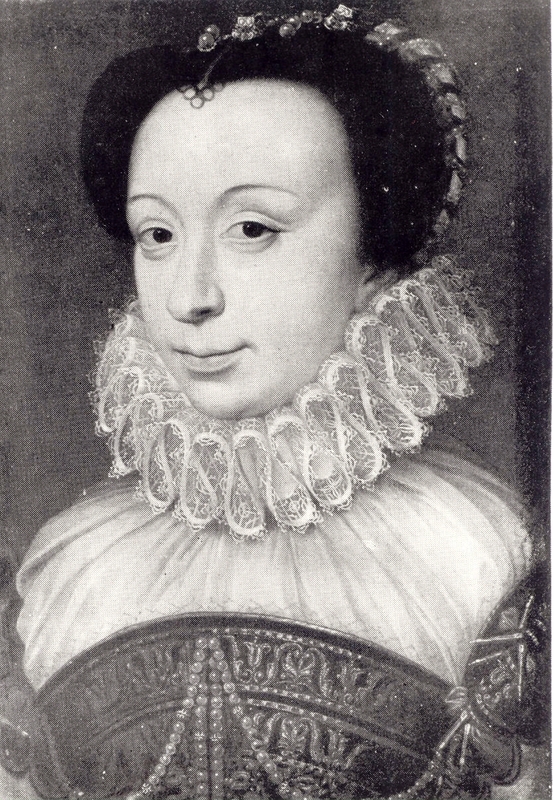 After Ercole’s death, Renée returned to France, where to her dismay she found her son-in-law Francis, Duke of Guise to be the head of the Catholic faction. After the death of King Francis II, however, the Duke of Guise fell from power and Renée had much more freedom. She began to fund Protestants in need and also host Protestant services on her own estate. Renée’s tireless work helping the French Huguenots convinced Calvin that she was true to the Protestant faith after all and her correspondence with him was re-kindled, continuing until he wrote to her from his deathbed in 1564. 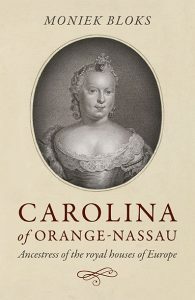 During the French Wars of Religion, Renée was constantly at war with her own family and friends. Once her son-in-law had regained his power, he stormed the castle where Renée was allowing Protestants to shelter. Renée was fearless in these battles and called out to Francis to “see if he would dare to kill a king’s daughter”. Renée was able to use her rank and status to go above and beyond what many Protestants would get away with during the wars of religion but always relied on the help of others to carry out her plans in full. In 1569, Renée wrote endless letters to her son Alfonso, asking him to refrain from persecuting her fellow Protestants, but rather than agreeing to his mother’s wishes, Alfonso threatened her instead, and Renée was forced to turn away those who sought her protection. Alfonso and the French King made sure that Renée was cut off from much of her land and income from then onwards in order to limit her power. In 1572, Renée managed to escape the bloodbath that was the St Bartholomew’s day massacre in Paris which occurred after the wedding of Henri IV of France and Marguerite of Valois. The massacre of Protestants lasted three days and claimed the lives of over 3000 people. Renée helped some of those under attack and offered them shelter at her home. 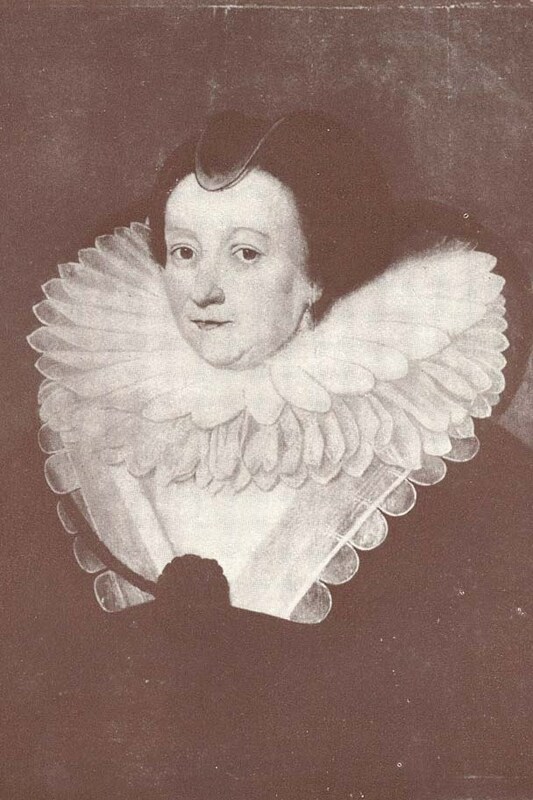 On 2 July 1575, Renée died at home after writing her last will and testament. 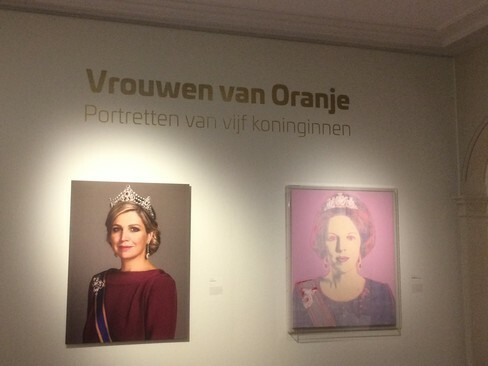 She listed all of her titles in her will to show the grandeur she had once known in her lifetime. Renée died having being estranged from her children and broken down by a difficult life, a sad end for a woman of such courage and dignity.